The National Security Inspectorate (NSI), the UK’s leading independent, specialist certification body in the security, guarding services and fire safety sectors, is proud to sponsor the ‘Outstanding Security Installer/Integrator’ category at next year’s Outstanding Security Performance Awards (OSPAs), taking place in London on 28 February 2019. 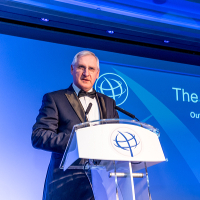 The UK OSPAs is part of a global awards scheme currently running in eight countries, recognising outstanding contributions and achievements within their respective security sectors. Following extensive research in 2014 by Perpetuity Research and Consultancy International, on what constitutes outstanding performance, the OSPA award categories and criteria have been standardised, providing an opportunity for countries to run their own evidence based OSPAs, whilst maintaining the ability to compete on an international level.